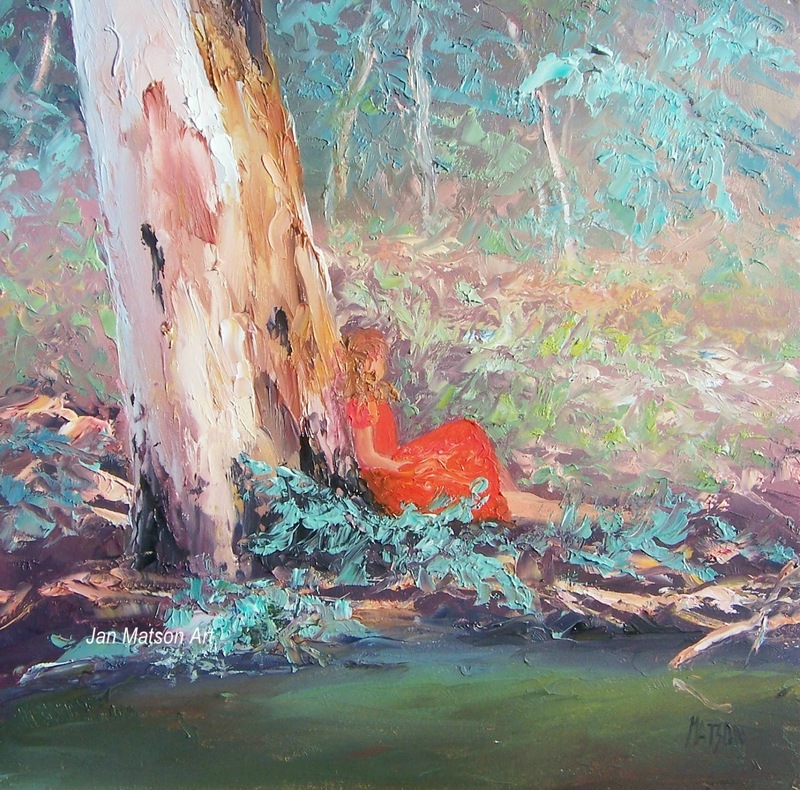 A bright splash of red in this landscape painting. 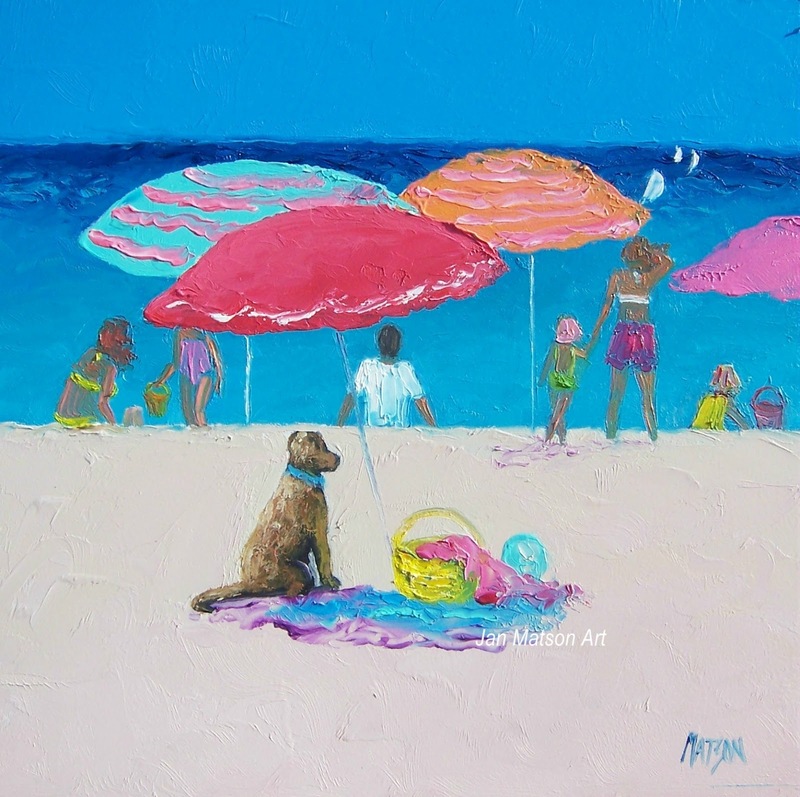 It looks like an idyllic day! I really enjoy painting these little bush scenes! 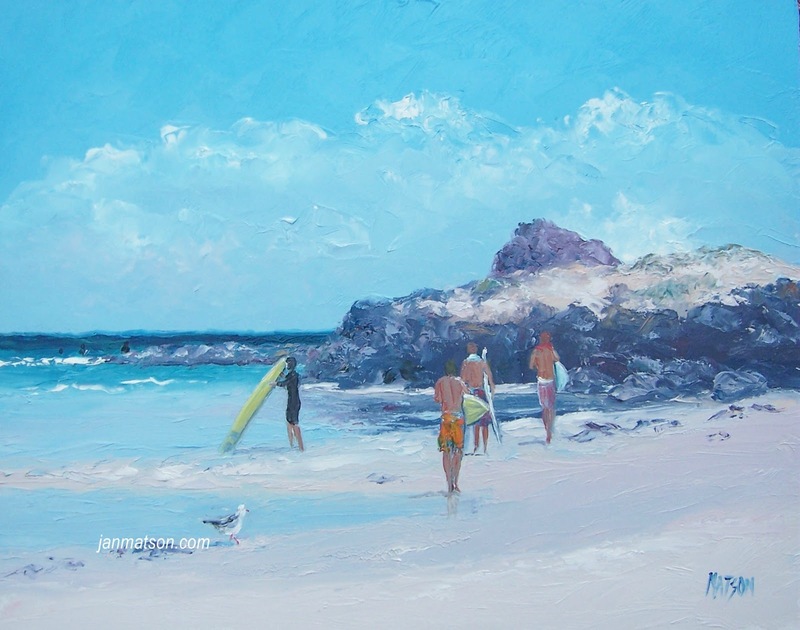 This beach painting is from a recent trip to the Gold Coast, Currumbin Beach. 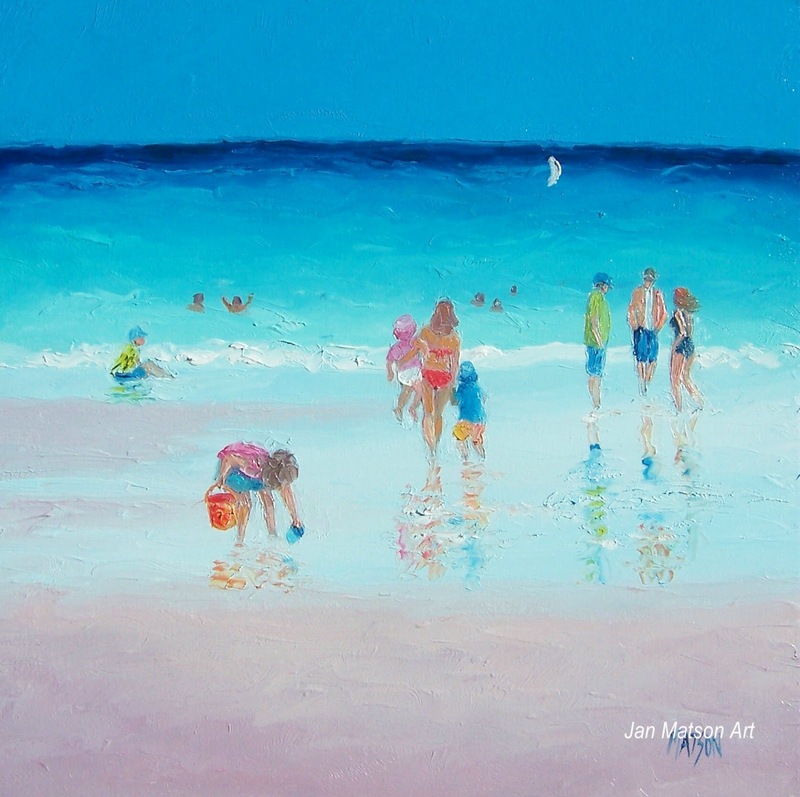 For an individual gift my paintings of the beach will be a talking point in anyone’s home. 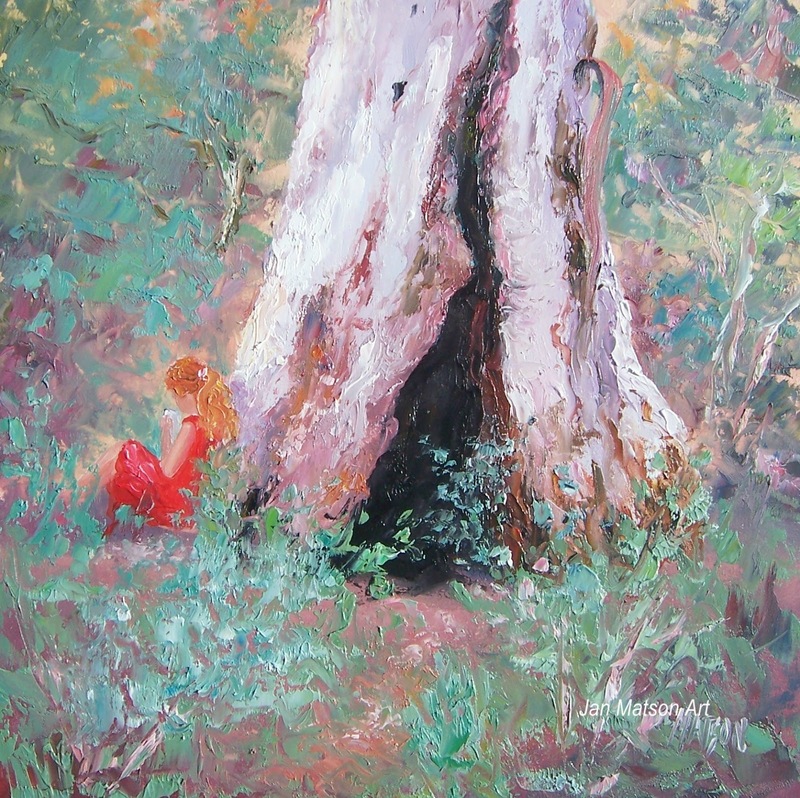 I hope my landscape painting will transport you back to those halcyon days. 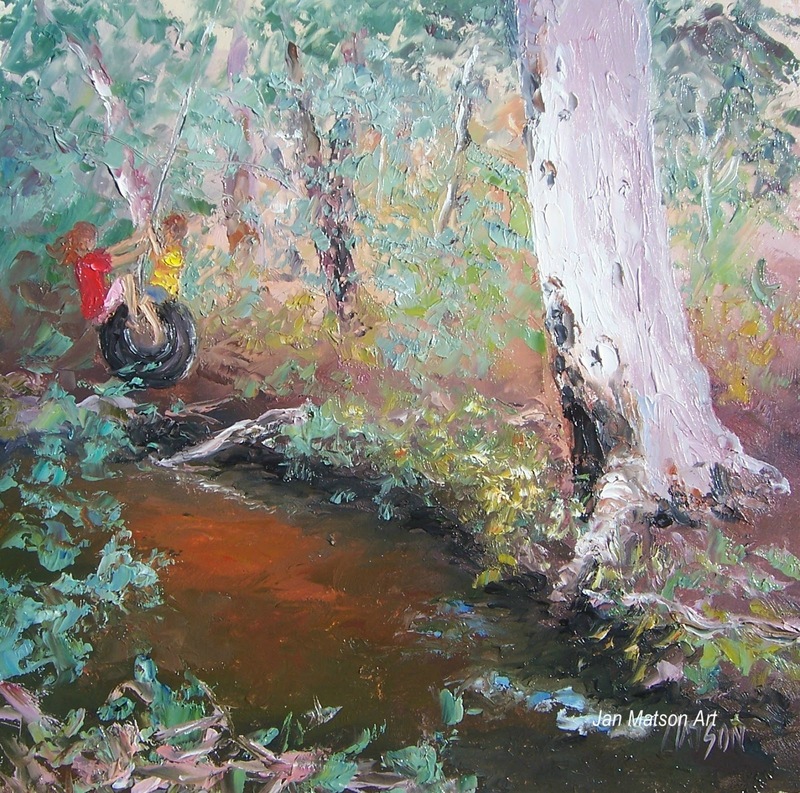 Two children are having fun on the tire, down at the creek. 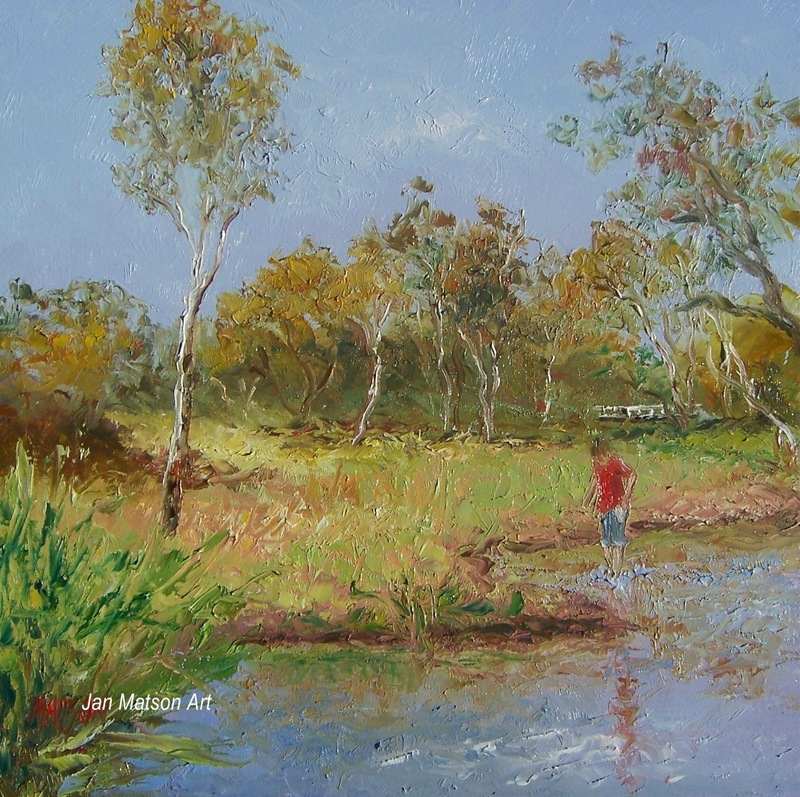 A landscape impressionist painting of a young boy searching for tadpoles. 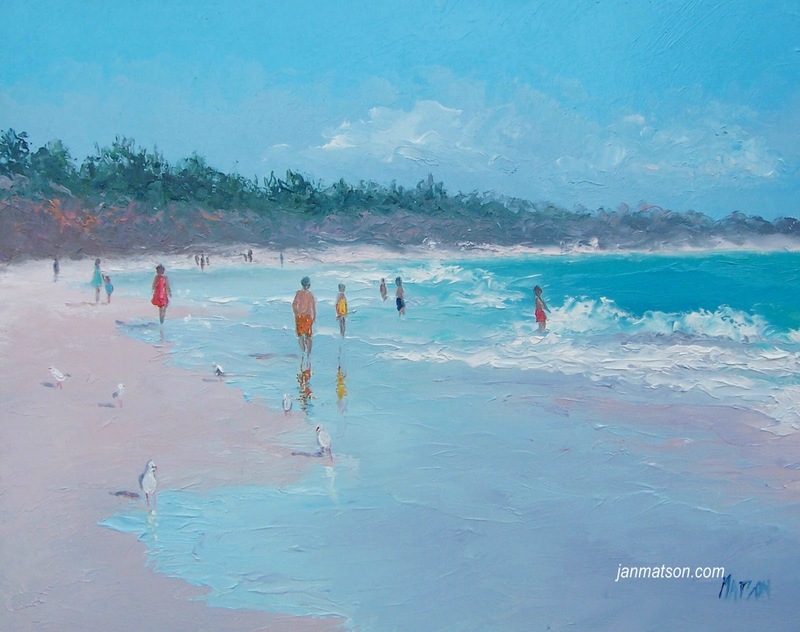 I hope my landscape paintings will allow you to bask in the sunshine while reminiscing past summers.